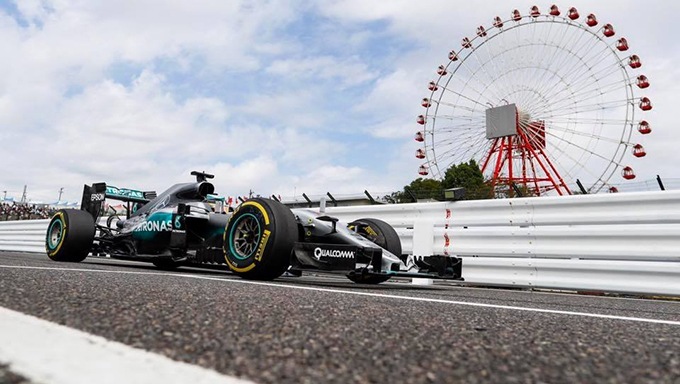 The Formula One race calendar has reached Japan, with the Grand Prix at Suzuka set to be one of the most eagerly anticipated contests of the season. As ever, there will be plenty of opportunities for F1 betting fans to cash in. A lot of the buzz around the Japanese Grand Prix derives from the outcome of the preceding race in Singapore. Lewis Hamilton was forced to retire for the first time this season, allowing Ferrari's Sebastian Vettel to claim victory and significantly reduce the points deficit in the drivers' championship. With six races remaining, talk of Vettel mounting a late bid for the title has left fans of the sport counting down the days until his rivalry with Hamilton is renewed in Japan. Despite Vettel's victory in Singapore (his third of the season), Hamilton remains the strong favourite for the Japanese Grand Prix. The British driver, who has already won seven races, can be backed at 8/11 with Coral Sports. Vettel is priced at 4/1 by Ladbrokes Sports following his dominant display last time out, while Hamilton's team-mate Nico Rosberg (the fourth placed driver in Singapore) is available at 7/2 with the same bookmaker. Hamilton has promised to respond after his disappointing display and fans of Mercedes will be hoping their star man is back to his best in Japan, particularly after Vettel said that Ferrari intends to pursue a strategy of "maximum attack" in the remaining races. Kimi Raikkonen, the other Ferrari driver, is 16/1 to win the race and 4/1 for a podium finish with Coral Sports. Raikkonen finished third in Singapore – the first podium placing he has managed since the Bahrain Grand Prix in April. When it comes to podium betting, punters may be interested in Daniil Kvyat of Red Bull. The Russian driver, who claimed his first ever podium position at the Hungarian Grand Prix in July, beat Rosberg and Hamilton to post the fastest time in the second practice session in Japan. Kvyat is priced at 7/1 with Betfred Sports to finish in the top three. Daniel Ricciardo, Kvyat's Red Bull team-mate, should also attract some interest in the podium finish betting market. The Australian came second in Singapore after comfortably seeing off a challenge from Raikkonen and also has a third-place finish in Hungary to his name this season. He is 6/1 with Ladbrokes Sports to claim a place on the podium in Japan. The fastest lap is another popular betting market for F1 fans. Unsurprisingly given his dominance this season, Hamilton is the bookies' favourite to clock the quickest lap time in Japan at 6/5 with Coral Sports. His team-mate Rosberg is an 11/4 bet with the same firm, while Vettel is 6/1 at Betfred Sports. Ferrari supporters could view the price for Vettel with some interest, given that the German's Ferrari was unquestionably the quickest car at the Singapore Grand Prix while Mercedes were inexplicably off the pace. Although Hamilton has since said he believes his team's problems were specific to Singapore, the stage is certainly set for another enthralling clash between the current powerhouse of F1 and their main challenger. The Japanese Grand Prix is almost always a highly enjoyable stop on the F1 calendar, with the enthusiasm of the local supporters famously lending the event at Suzuka a particular atmosphere. More than 140,000 fans are expected to attend the race this year. However, there will also be a note of sadness at this year's event. At the 2014 Japanese Grand Prix, driver Jules Bianchi suffered the horrific accident that led to his death at a hospital in France nine months later. The race is therefore likely to be an emotional occasion for many of the drivers. Fans will hope that the weekend delivers a feast of high-quality racing as a fitting tribute to the much-missed Bianchi. Ready to bet on the Japanese Grand Prix? Visit William Hill Sports today.